A corrections officer performed a head count at the Souza-Baranowski Correctional Center earlier this year. A series of proposed changes to Department of Correction guidelines has prisoner rights-advocates, and specifically the prisoners themselves, on edge. 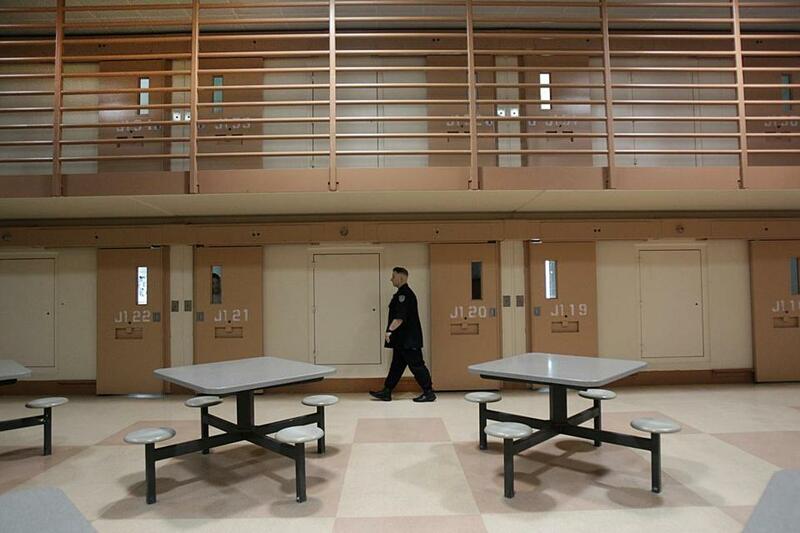 The proposals include changes to department policies in prisoner mail, telephone and visitation privileges, including at the maximum security prison in Shirley, known as the Souza-Baranowski Correctional Center, where advocates say prisoner tensions are already high. Prisoners there recently conducted a peaceful protest of the changes – what one rights advocate called the first of its kind in the history of the 18-year-old facility – resulting in a week-long lockdown of the prisoners, department officials confirmed. State corrections officials said that the protest, which began Sept. 28, did not turn violent, that there were no injuries or uses of force, and the 1,000-inmate facility was restored to normal operations. Officials suggested that some of the inmates had incorrect information about the proposed changes, but prisoner-rights advocates said inmates have perceived the proposals as the latest heavy-handed burden placed on a facility where inmates are in segregation for 19 hours a day, where educational programming is scare, where inmates have reduced access to items like toilet paper. Christopher M. Fallon, director of communications for the Department of Correction, said that the proposals at issue are only recommendations and are still being considered. They are part of a review of all state regulations ordered last year by Governor Charlie Baker. The proposals at issue were publicized at a public hearing last week, the day the protests began. “The proposed amendments update the regulations to reflect current practice, increase efficiency and provide consistency and predictability within the department,” Fallon said. Some of the changes are mundane and redefine terms used in the corrections industry, while others are attempts to address safety and security, including the smuggling of drugs into prisons. Prisoners’ rights advocates argue, though, that some of the proposals go too far in interfering with prisoners’ abilities to communicate with and spend time with family members, what the advocates called essential to help them rehabilitate from crime and reduce recidivism. One of the proposals, for instance, would prevent young children from sitting on a prisoner’s lap. Advocates argued that a prisoner’s ability to see his or her child, and the child’s ability to physically embrace a parent, should be allowed, at least for children under 5. The advocates also questioned a proposal that would cap the number of visitors that inmates can place on a pre-approved visitor’s list – which was previously unlimited -- with the cap varying based on the inmate’s security classification. Inmates at the maximum-security prisons would be limited to five visitors on a list, though the inmate could petition a prison superintendent to extend that list on occasion if he or she has more than five “immediate” family members who want to visit at once. The regulations define immediate family members, and exclude relatives such as aunts and uncles and cousins. Advocates asked that the regulations allow up to 20 visitors for each inmate, regardless of the prisoner’s classification, though the advocates insisted that there should be no cap at all. “This flies in the face of best practices regarding (prisoner) re-entry; the closer ties a prisoner has with the community he or she is returning to, the higher the likelihood of a successful re-entry and the lower the recidivism rate,” Walker said.